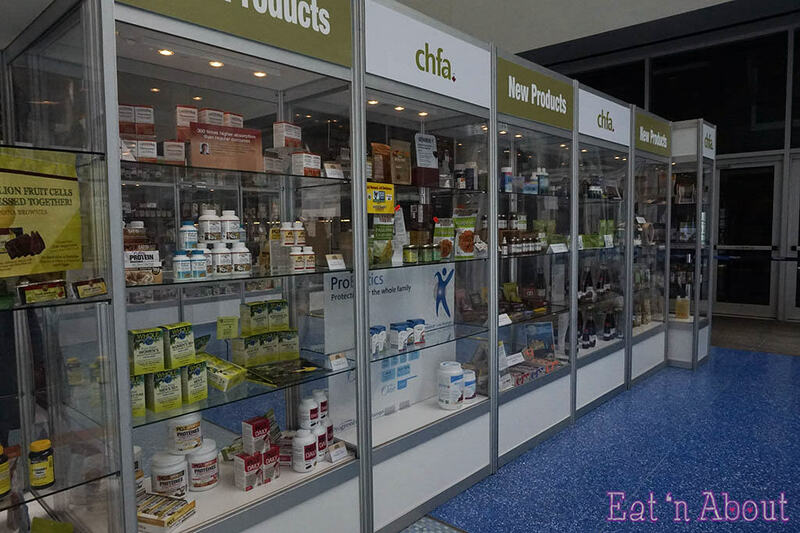 Hot off the heels of the Healthy Family Expo comes the trades-only Canadian Health Food Association‘s Conference and Tradeshow CHFA West and it was with pleasure and excitement that I was able to attend. It’s always interesting to see what the upcoming trends are in the food world, and this year, it seems like anything coconut is still all the rage, along with kale, nut milks, and of course, anything organic/non-GMO/whole-grain/ancient-grain. 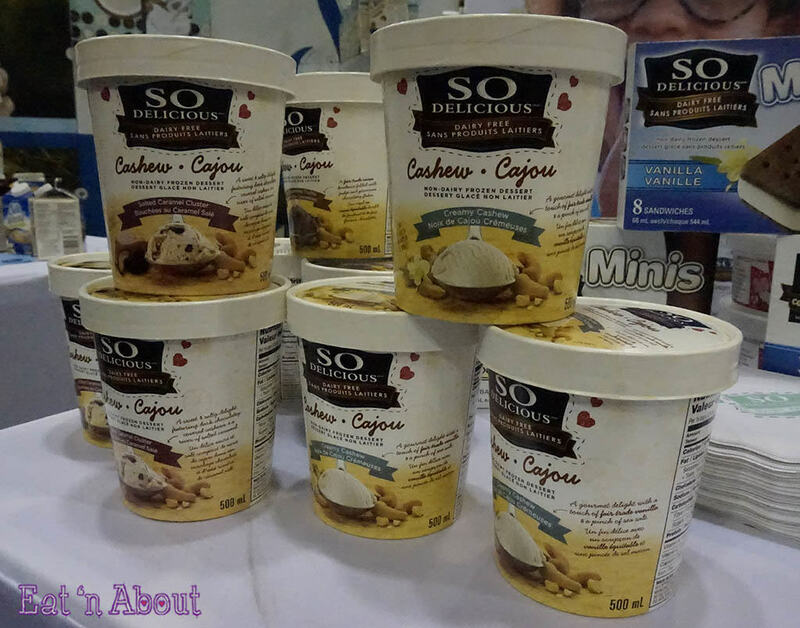 Even though the convention was organized by the Canadian Health Food Association, there were more than just food products on show. Labellers, cleaners, and body products, etc, were also on display. But again, since Eat ‘n About is a food blog, I will focus on things that can go inside the tummy. This year, chocolate products really topped my list. Flavored dark chocolates of course, at least 72% and up. And there was just so much to see and taste, this “Healthy Picks” list from the CHFA is my largest one to date. Let’s get to it! 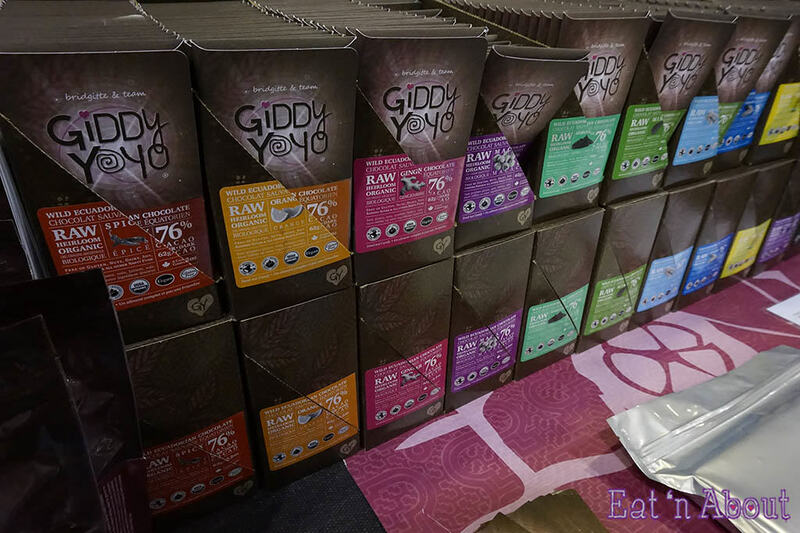 Giddy Yoyo‘s chocolate bars were hands-down my favorite item to have tasted at CHFA West, and it’s not just because it’s chocolate. It’s much more than that. 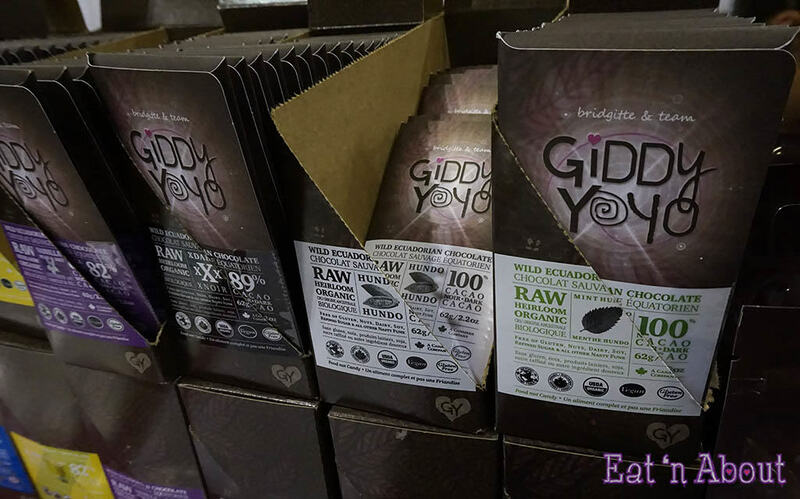 What really impressed me about Giddy Yoyo‘s chocolate bars is that they are raw, which greatly differentiates them from the rest of the chocolate bars out there. I asked how this is accomplished, and in layman’s terms they told me while the chocolate does go through a tempering process, it never reaches the temperature of usual “cooked” chocolate so it does retain it’s “raw” quality. This results in less oxidization of the cacao’s nutritional properties. The “important” stuff aside, Giddy Yoyo raw chocolate bars just taste darn yummy! 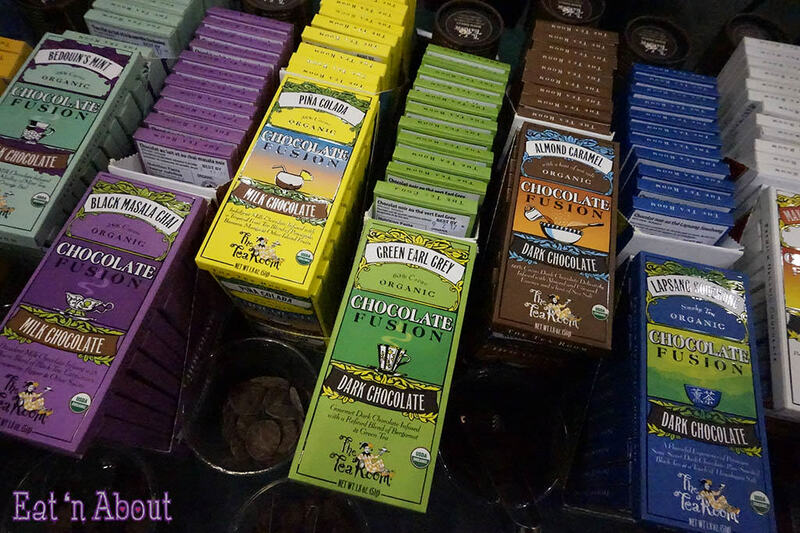 They have so many different flavors to choose from and they ONLY do dark chocolate! From regular dark (60%) to VERY dark…. Just how dark you ask?? Behold the 100% unsweetened dark cacao! I braved it and tried a piece. A pretty big piece actually. It was intensely chocolatey and that really is all you get- chocolatey goodness! To be honest this was quite difficult to swallow as is but I’m pretty certain that when it’s used as an ingredient in perhaps baking or homemade hot chocolate, this would be divine, and a little would most certainly go a long way. Continuing with the yummy chocolate trend, these chocolate bars from The Tea Room are quite frankly heaven-sent for people that love chocolates and tea. If you can’t already tell, these chocolate bars are infused with popular tea flavors such as Green Earl Grey, Chamomile Tea & Honey, Raspbery Rooiboos, to name a few. My favorite was the Earl Grey for sure. Unlike Giddy Yoyo though, The Tea Room chocolates comes in white chocolate, milk chocolate, and dark chocolate variations. 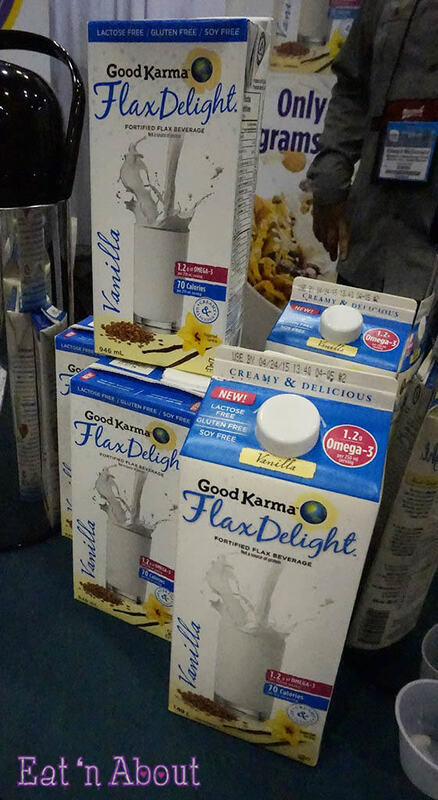 Good Karma Flax Milk is the newest non-dairy milk product to hit town! According to the guys behind the brand, flax milk is full of omega-3s, which is something we really need to include in our diet as most of the foods we consume contain more omega-6 instead. Good Karma flax milk is also high in calcium! Good Karma flax milk does have that flax-y taste though but milder, so it’s not exactly inert in taste if that’s what you’re looking for. I don’t mind it at all though, and all 3 flavors (Unsweetened, Original, and Vanilla) that I tried were creamy and smooth. I’ve been gifted samples so I will do a full review soon to see how it tastes in the usual foods I add milk to. 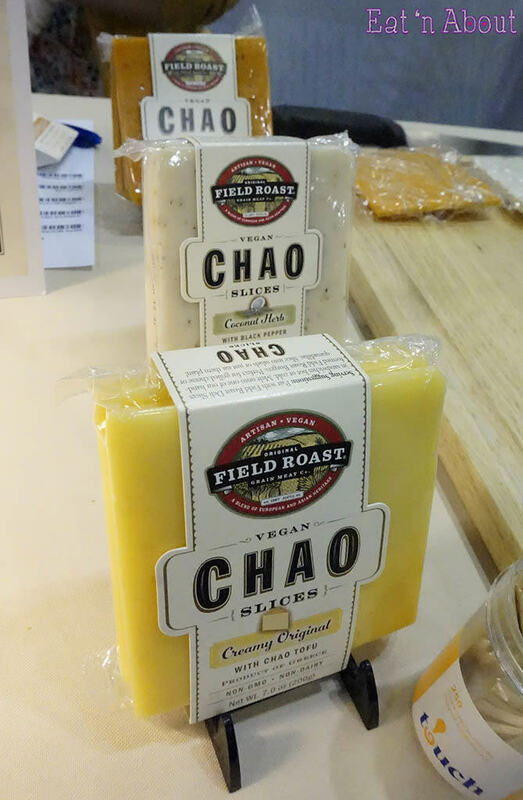 I’m an omnivore, more to the carnivore side but I absolutely loved these vegan “cheese” slices from Field Roast. They’re melty and gooey, and they do actually taste cheesy. Pre-sliced and sandwiched ready, they make a mean grilled cheese which was what they sampled at CHFA. The Coconut Herb flavor is their take on the coconut trend. It tastes a little sweet so it’ll be interesting to see what people do with it. 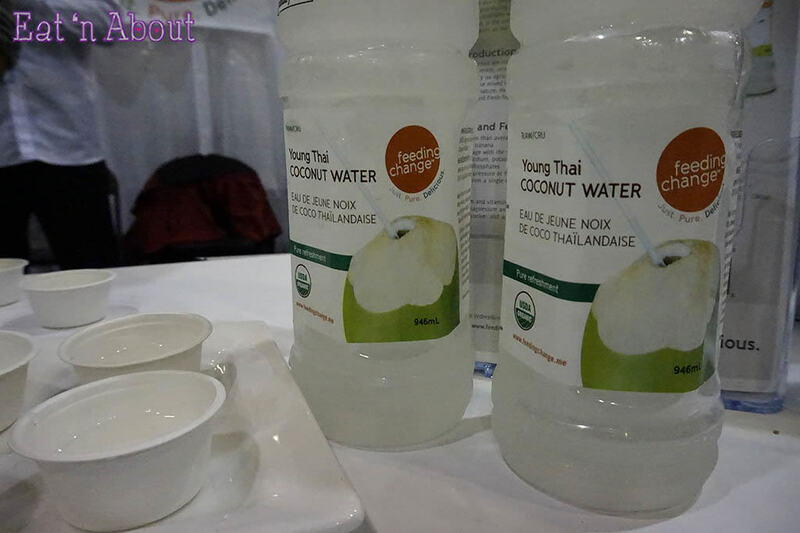 Of all the coconut waters on the market, why does Young Thai Coconut Water make my list? Well, I grew up drinking lots of young coconut water that actually comes in the actual coconut itself. I’m sure most Asians who grew up in Asia have. Young Thai’s coconut water tastes exactly like that. It’s by far the truest tasting bottled coconut water I’ve tasted. All those other brands of canned/bottled coconut water don’t even come close. Next time when I’m looking for convenience (not having to open the coconut myself) I will reach for Young Thai Coconut Water for sure. 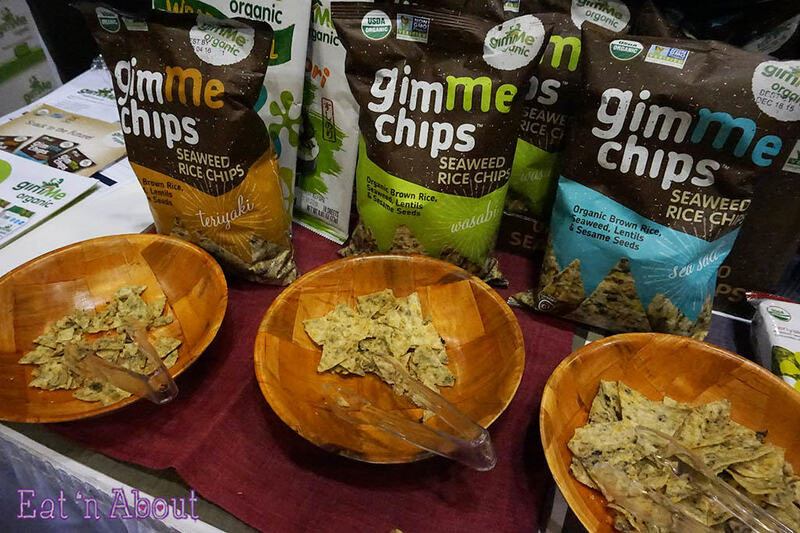 A new take on seaweed “chips” is Gimme Organics Seaweed Rice Chips. The Wasabi flavor was my favorite, with Teriyaki coming in second. These seaweed rice chips were crunchy and light and were a nice carrier for the seaweed. Growing up I’ve had orange flavored fish oils as a supplement, and to tell you the truth I really liked it. Nowadays I take the pill form but they’re so freaking huge, I can’t say I like them that much. In comes Barlean’s Omega Swirl. 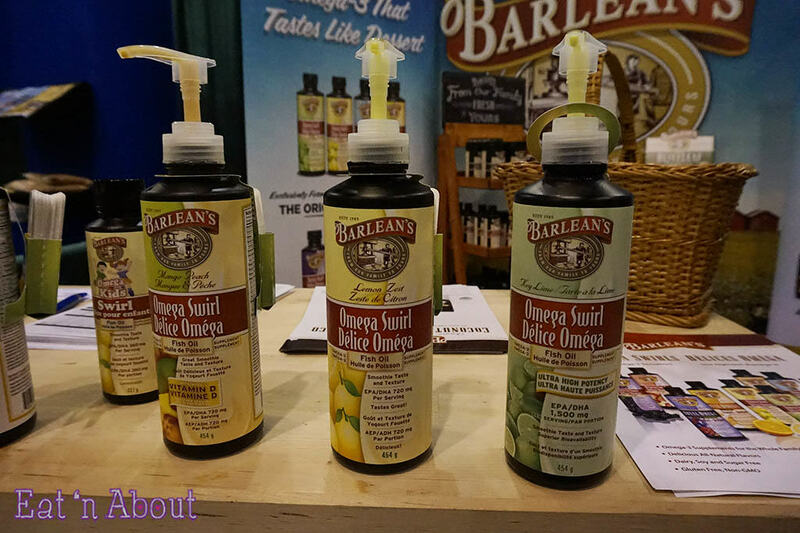 Barlean’s Omega Swirl comes in an array of yummy, smoothie-inspired flavors like Key Lime and Mango Peach. Key Lime tastes just like key lime pie! I will for sure look for this product when I need to replenish my omega-3 supplement. Last year Inno Specialty Foods introduced me to Camelina Oil. 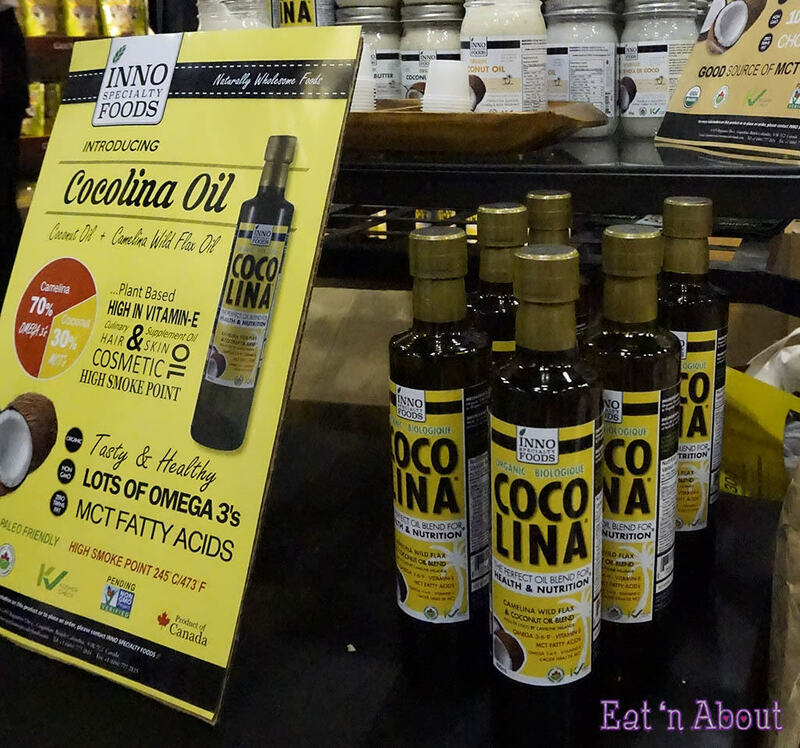 This year, going with the coconut trend, comes the newly released Cocolina Oil, which is a blend of 70% Camelina oil and 30% Coconut oil. It blends the best of both worlds! I had a small swig of the oil and it was indeed more camelina than coconut, which should make Cocolina oil more versatile for me personally, since I still can’t get over the taste of coconut aroma in my more savory foods, such as the simple fried egg. Looking forward to its release in stores! Again with the nut milks, the next craze seems to be cashews, so here’s So Delicious Cashew Milk Frozen Dessert. I tried both the Salted Caramel and the original Creamy Cashew flavor. Both were creamy and yummy, with a slight saltiness to them (more so with the Salted Caramel flavor for obvious reasons) which I attribute to the nature of cashews. Very yummy! Would like to see what the next “it” nut will be after this. 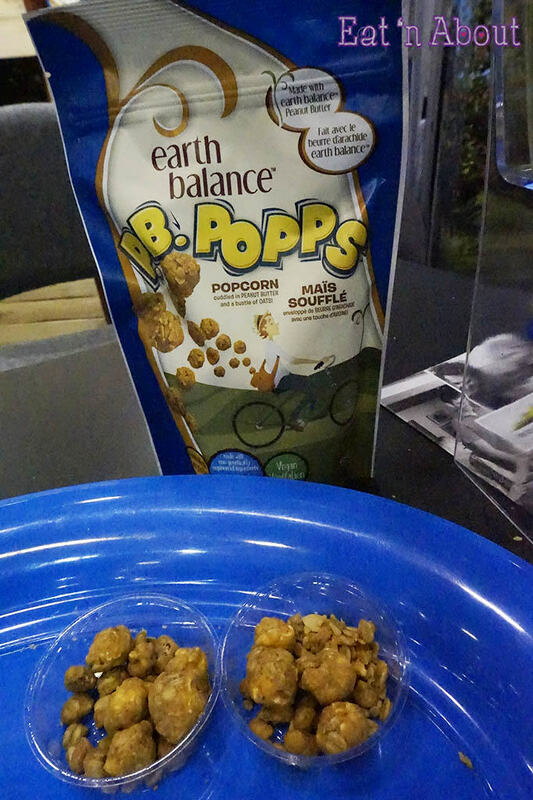 This is the first time I tried peanut butter flavored popcorn and Earth Balance definitely delivers!! The yummy peanut butter outer coat is fluffy, if you can imagine, and not shiny and caramelized like your usual caramel corn covering…it’s hard to describe. But it looks very unique and was very properly sweetened, with very authentic PB taste. I will for sure look for this at the grocery store. Ya ya I know…another kale chip product on the market…but I assure you these ones from SuperEats are different. 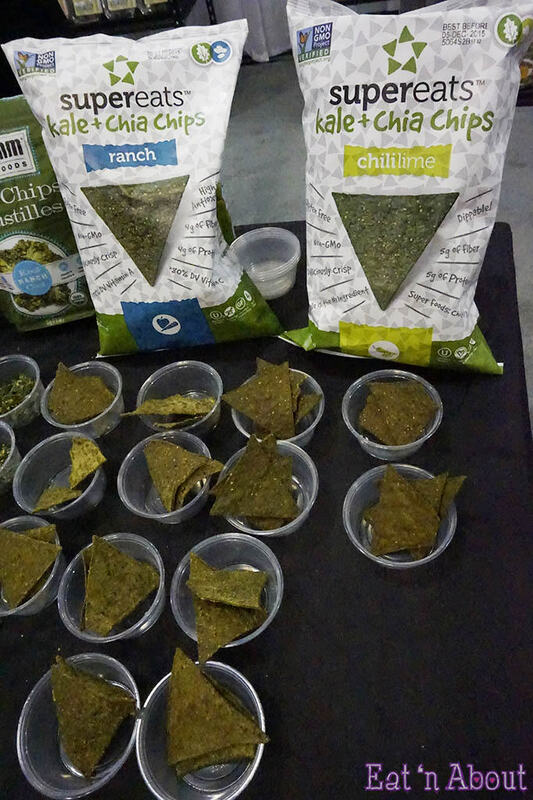 Their Kale + Chia Chips are kind of like a corn tortilla chip hybrid except their first ingredient is kale, next is black beans and/or navy beans, then it’s corn masa, then chia seeds. You definitely get the lingering taste of kale at the end, and that’s how you know there’s lots of it in there. These would definitely make a great alternative to regular tortilla chips. So there you have it! My latest report back from CHFA West 2015! If you’re still with me here thanks for reading all the way through!! Hope you get to try some of the items listed here! Previous PostIt’s Possible! We can bring Trader Joe’s Thai “Dry” Chili Paste back! !